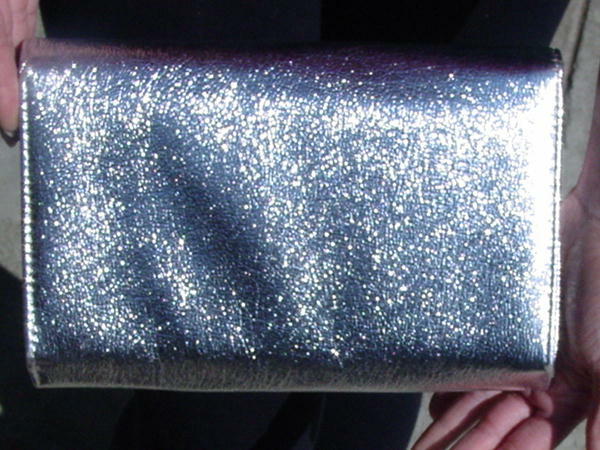 This vintage silver lame purse has an envelope styling. 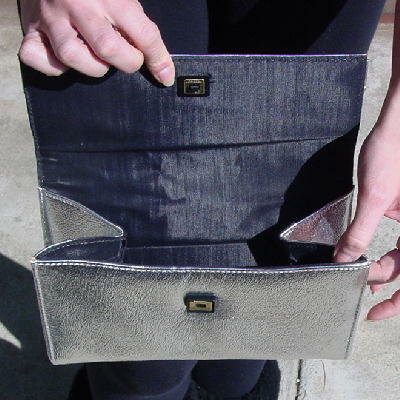 There is a front flap snap closure and a very nice black fabric lining with an interior open pocket. 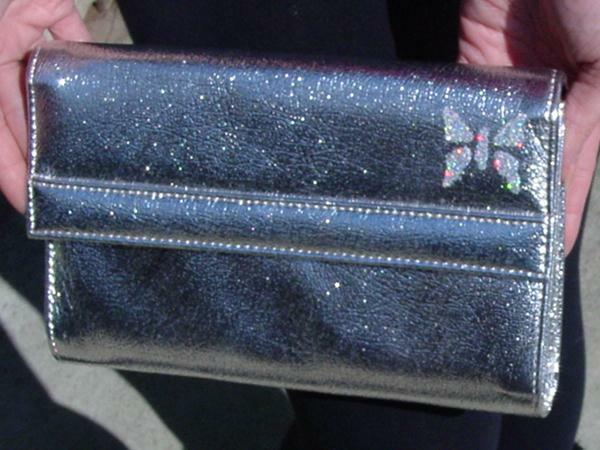 Eden silver glittered her signature butterfly (1 1/4" wide by 1 1/4" high) on the right hand corner of the front flap of the purse. This way the butterfly is very eyecatching but won't interfere with opening or closing the purse or affect how you hold it. The purse is very fun, simple, and chic.